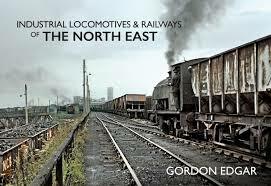 This sixth volume in the regional series of books looking at the industrial railways of England, Wales and Scotland specifically covers Lancashire, Greater Manchester, Merseyside and Cheshire, a region widely associated with the rapid growth of industry during the Industrial Revolution. The widespread coal mining activities, which particularly influenced the economy of the region during the twentieth century, were once served by an extensive network of railways, and some also by canals. The Manchester Ship Canal railways at Trafford Park and Ellesmere Port are featured, but there were also other ports and docks around Liverpool and at Preston, all having extensive railways and fascinating locomotive fleets. These are covered, along with the colliery railways and many of the numerous power stations which were once strategically located around the region, some fed directly from adjacent coal mines. Peat workings, chemicals works, oil refineries, salt mining, paper, steel, cement and glass manufacture are all covered. The area has a rich industrial heritage and the industrial railways of both standard and narrow gauges which once served the region were equally rich in variety. 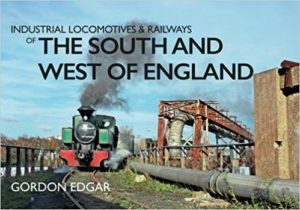 Primarily utilising previously unpublished colour photography, Gordon Edgar offers a fascinating view of industrial locomotives and railways in the area, essentially covering the last six decades.